These three options are exactly what they sound like. • If you choose a skippered yacht, the charter company will provide you with a captain for your voyage. You will still call all the shots concerning your vacation, but the skipper will be there to guide you and keep you safe. • If you go bareboat, you will be skippering the vessel yourself, and it will be just you and your traveling companions. • With the fully crewed option, you are accompanied by not only the skipper, but other crew members who can handle navigation, sailing, and meal preparation. So how do you choose between these three options? There are advantages and disadvantages to each, but which you should go with depends on your sailing experience and what your plans are for your trip. • A skipper eliminates the need for you to get a license. • The skipper can help you sail the boat, and can teach you about sailing along the way. The skipper is also familiar with local waters and weather conditions, and can chart a safe course along the Croatian coastline. • A skipper can help you to plan your itinerary if you are looking for suggestions for activities, sightseeing, food, and more. • The skipper frees up a lot of your time so that you can focus on other things—like relaxing and having a good time. • If there is an emergency, you will have someone onboard who knows exactly what to do to make sure you get back to shore safely. • Hiring a skipper does tack on an additional fee. • You need to pay for and provide the skipper’s meals during your journey. • Sailing with a skipper is obviously less private than sailing bareboat. • There is always the chance that your personality and the skipper’s will not mix. • If you sail with a full crew onboard, you are choosing the most luxurious and comfortable mode of travel. You will have professionals seeing to every aspect of your trip: sailing, navigation, food preparation, cleaning the deck, tidying up, refueling, security, and more. You can personalize your crew to your needs; you might set sail with just a skipper and a cook, or you might choose to add a security guard, a hostess, or additional sailors or crew members. • As with a skippered charter, a fully crewed charter presents you with the chance to learn about sailing at your own pace. • You do not need a license to sail with a full crew. • Should something go wrong, you will have a crew of trained professionals ready to deal with the emergency and get everyone back to safety. • The crew sleeps in quarters which are separate from the guest area of the boat. This helps to maintain privacy. • This is the most expensive way to sail in Croatia. • This is also the least private way to travel. While it is true that the crew quarters are in a different section of the boat than the guest quarters, you will still be surrounded by the hustle and bustle of crew activity during your cruise. • As with a skippered cruise, there is always the off chance that you will have a personality clash with a member of the crew. Thankfully situations like this are rare. 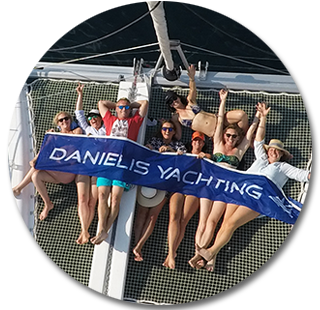 • If you want to challenge yourself to sailing on your own, a bareboat charter can be an incredible experience. • In terms of privacy, you are not going to find a better option than bareboat. It will be just you and your traveling companions and the sparkling waters of the Adriatic. This can be wonderfully relaxing if you know what you are doing. • You do need a license to sail bareboat. • You will need to take care of all the chores of sailing the boat yourself. That means the physical work of sailing along with navigational charting and itinerary planning. You also will need to deal with all the logistical issues of docking the boat at various marinas. • All of the work above can keep your hands full, reducing the amount of time you have to enjoy other activities. • If there is an emergency, you will be fully responsible for seeing your way back to safety. No one will be there to give you advice or help you get the boat back under control. • You have little or no sailing experience and want to put the actual sailing of your vessel in professional hands. • You are looking for the ultimate charter experience in terms of comfort, luxury, and safety. • You want delicious Croatian cuisine served to you on the boat daily. • You want to be able to focus 100% on relaxing and having a fun time with your traveling companions but will not find a crew running around on deck distracting on your voyage. • You can afford the extra fee for a full crew. • You have a license to skipper a boat along with all the relevant certification and documentation to prove you can sail. • You have plenty of sailing experience and are confident in your ability to safely guide your boat through Adriatic waters. • You want the most private experience sailing along the Croatian coast. • You do not have a license to sail and cannot skipper the boat yourself as a result. 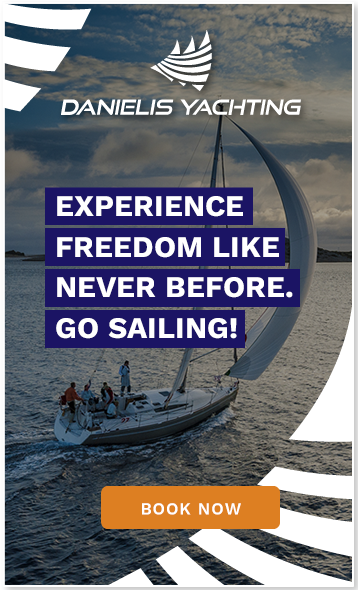 • You have minimal or no sailing experience. • You are looking for the perfect middle option between a fully crewed and bareboat yacht. With a skipper, you have a professional on hand to help you with itinerary planning, sailing, and safety, but you are still enjoying a relatively private experience. You now know the pros and cons of sailing with a fully crewed charter in Croatia, sailing bareboat, or simply hiring a skipper for your vessel. Consider your experience sailing and think about what you are looking for in terms of privacy, convenience and comfort. 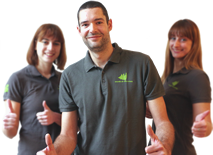 You can always ask our charter company for advice as well. Once you choose the right option, you will be on your way to planning the perfect charter sailing holiday in Croatia! Sailing Vacation with Family in Croatia Part I – Why Choose Croatia?